Imagine the improvement that a salesperson could see if they had the innate ability to ask probing questions and uncover meaningful information—and then spent time practicing and developing that ability! The potential would be huge! But what if they were too busy to spend any directed time or energy developing that talent? Or even worse, what if they were simply unaware of their iincredible potential for growth? That is a wasted opportunity that keeps me awake at night. One of my favorite things to do as a talent analyst is to spend time with my clients providing individualized talent feedback and performance coaching. I just returned from a few back-to-back trips where I had the opportunity to do this and I am truly on a “feedback high.” I sat down with each salesperson and each manager, discussed their unique strengths in the context of their jobs, talked with them about their current performance and future goals, and provided each person with very specific strategies they could use to better leverage their strengths and increase their performance. Sifting through the feedback I received, it is clear that this was career-changing conversation for many of them. Lucky for you, if you are in a position to coach others, you are also in a position to have this same conversation and help those you manage to focus on their innate strengths and become ten times better at what they do! The very best managers out there jump at the chance to invest 20-30 minutes in an employee to achieve this kind of return on their investment. Prepare in advance so that you go in knowing exactly what you want to say to make this the magic moment it should be. Pick just a few talents to zero in on. Arrange for about 20 minutes or so of uninterrupted one-on-one time and eliminate all possible distractions (turn off your email or head together to Starbucks). Make it all about them. Explain your purpose: You want to individualize your coaching and development to fit their specific strengths, to help them better understand those talents and strengths, and to find ways to use those talents more often. Follow this format: “A talent you have is (blank),” “I noticed you using this talent when you (describe a recent example),” “I will help you to use, grow, and make money with this talent by (make your suggestion).” Easy! Talk specifics. Discuss these talents in terms of the behaviors that you observe on the job and describe their strengths in real-life situations. Don’t use scientific terms like interview theme names during your talk; everyday language will do the trick. “You are a natural detective” would be a great way to better explain the Problem Solver talent. Make it interactive. Encourage discussion, questions, and ideas. Be positive. I’m sure you have lots of examples of them falling down in areas where they’re weak, but that’s not what this meeting is about. Save that for another time. Only commit to the coaching strategies that you will follow through on—because they will remember! Most importantly, enjoy this golden opportunity to impact a talented salesperson or manager in only 20 minutes! Most people will report that they have never had an experience like this before. You could be providing a once-in-a-lifetime opportunity for them to consider how they will purposefully work to grow their God-given talents and increase their performance. Improve your sales performance. Sales managers can gain unique perpsectives on hiring and developing more effective sales teams. 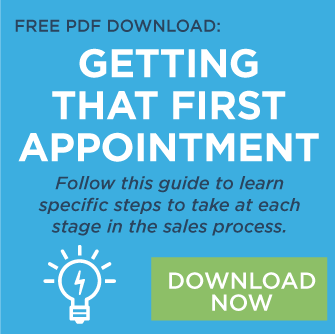 Salespeople can improve their approach to getting more appointments with target prospects, uncovering desired business results, and engaging clients in a collaborative process that leads to the sale. © 2019 The Center for Sales Strategy, Inc.